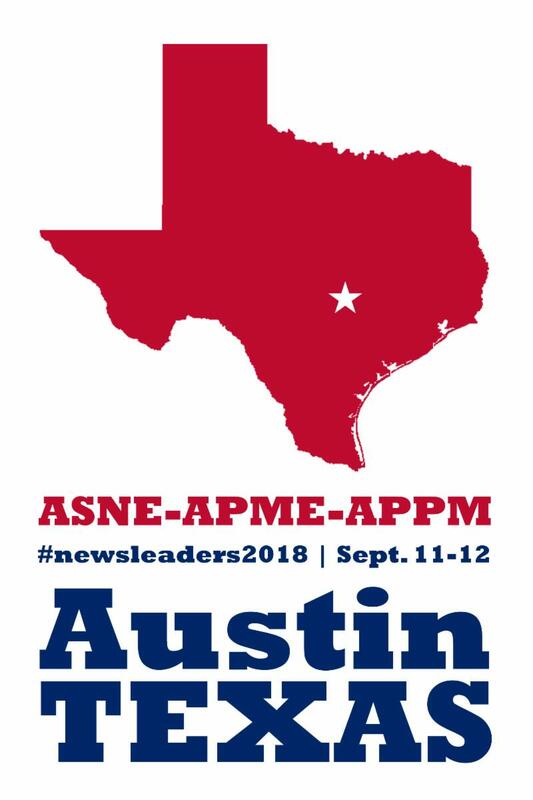 Sign up now to join us Sept. 11-12 at the ASNE-APME News Leadership Conference in Austin, Texas, where you will be inundated with tips and advice on how to lead your newsroom. Innovation Track: Serving Your Readers in 2018: How can you use human-centered design to put the audience first and produce impactful storytelling? We will review a project done by Philadelphia Media Network and the CUNY Graduate School of Journalism, which recruited three real Philadelphians to participate in a half-day human-centered design exercise. They interviewed these volunteers about their habits and priorities, discovered real needs and brainstormed service journalism story ideas. A popular series called "We The People" came out of it. Confirmed speakers:Marie Gilot, director of professional development, CUNY Graduate School of Journalism; Kim Fox, managing editor of audience development, Philly.com. Modesto Bee: 360,000 Californians have unsafe drinking water. Are you one of them? What might the 'dead' Russian reporter incident mean for journalism? Columbia, Mo. (May 31, 2018) — Kathy Kiely, a veteran reporter and editor with a multimedia portfolio and a passion for transparency, free speech and teaching, has been named the Lee Hills Chair in Free-Press Studies at the Missouri School of Journalism, effective July 1. The chair is named for Lee Hills, who had a long and varied newspaper career. He worked as a reporter, foreign correspondent, news editor, editorial writer, editor, managing editor, executive editor, and publisher and CEO of two major newspapers, the Detroit Free Press and the Miami Herald. Hills, who attended the Missouri School of Journalism between 1927 and 1929, was also the first chairman and CEO of Knight-Ridder Newspapers. The Hills Chair also is part of a national network of Knight Chairs in Journalism, supported by the John S. and James L. Knight Foundation. In endowing the chair in 1995, Hills said its goal is to increase ordinary citizens’ understanding of the value of free expression to democratic societies. “The emphasis on good journalism should be on serving citizens, not on serving newspaper or TV. People have to know what is going on if they want to govern themselves,” he said. After a long career covering politics in Washington, Kiely moved into the classroom full-time because, she says, universities are the laboratories that will discover the formula for making fact-based journalism viable again. AP's Arkansas supervisory correspondent in Little Rock and a longtime AP news editor, has been named the new metro editor of The Advocate in Baton Rouge, Louisiana - his hometown newspaper. Managing Editor Fred Kalmbach said in a staff note that he will begin work June 25 at the Advocate. His note said: "Kelly - an LSU grad who grew up in Baton Rouge - has run both the Little Rock and Oklahoma City newsrooms for the AP, leading coverage of major political and breaking news stories. Before he took on the news editor role, he was an AP reporter in Pennsylvania, West Virginia and Mississippi." Kissel worked in the paper's marketing department in 1983 as he was wrapping up his studies at LSU and rewrote news stories for the Advocate's cable channel, which ran text of stories on full screens. Kissel started his 34-year AP career as a temporary staffer in New Orleans in 1984, hired by CoB Hank Ackerman, a week before he graduated from LSU.Kissel moved to Jackson, Mississippi, for another temporary job and then got his first permanent position in Charleston, West Virginia. From there he moved on to correspondent in State College, Pennsylvania, and Little Rock as news editor in 1994 - "with coal strikes, the usual rural Pennsylvania mayhem and that beautiful mix of Whitewater and Paula Jones. My parents said they knew I had 'made it' when they saw me in the NBC Nightly News b-roll of Kenneth Starr," Kissel recalled. During his 23-year Little Rock news editor tenure, he also assumed news editor responsibilities for Oklahoma from 2009 to 2017, when because of attrition, he moved to Little Rock supervisory correspondent. The Wall Street Journal named newsroom veteran Matt Murray as its new editor in chief, succeeding Gerard Baker, who oversaw broad changes to the news organization in his 5½-year tenure as it dealt with a fading print-advertising business and the rise of digital journalism. Mr. Baker, 56 years old, will take on the position of editor at large, which will involve hosting conferences and events, writing and television presenting. Mr. Murray, currently the Journal’s executive editor, will assume his new role on June 11. Mr. Murray, 52 years old, has been at the paper for more than two decades, and has previously served as national editor, deputy managing editor and deputy editor in chief. Harald Paul Bauer, a decorated pilot in two wars who went on to a 30-year career as an award winning journalist and news executive, passed away on May 22. He was 90 years old. A resident of Atascadero, California, he is survived by his wife Margi Bauer, three sons from his first marriage, three grandchildren and his sister. In a life filled with extraordinary events one of the most remarkable was the fact that Hal served first for Germany in World War II and later with the United States in the Korean War. Born in Berlin of Walter Bauer, a German surgeon and Lottka Hughes his American mother, Hal was a dual national from birth. He was conscripted into the Luftwaffe at age 17 and was shot down by American forces as he transported new planes to the German front lines. Bauer was captured by U.S. troops and after recovering from his wounds, he went on to help them as a civilian assistant to the U.S. Military Government of Bavaria mainly tracking the activity of Russian forces in the area. Steve Fagan, a Navy veteran and journalist whose career started in 1970 and who spent 11 years as editor of The Monitor, died Saturday evening after complications from a second battle with pneumonia and recovery from lung cancer while at Community North Hospital in Indianapolis. He was 74.